I’m sharing my office with my youngest child and am so happy about it! 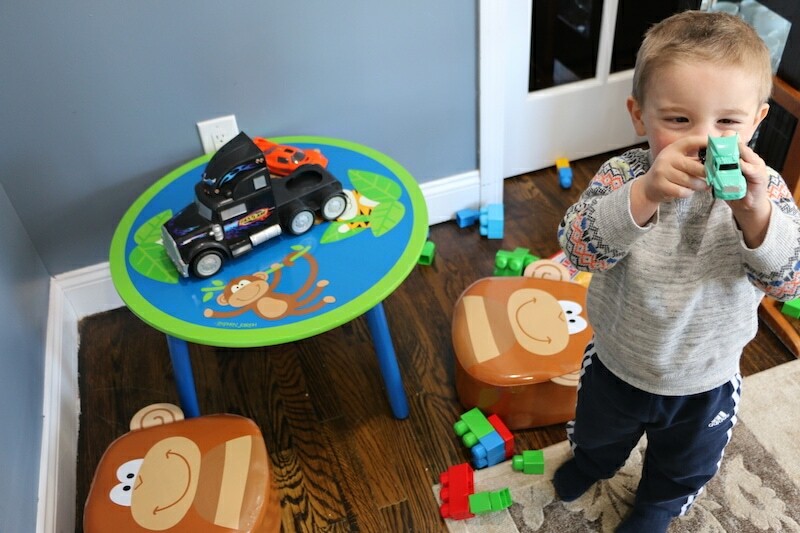 Little Caleb couldn’t be cuter as he sits at his monkey table. That boy is OBSESSED with monkeys. You have no idea. 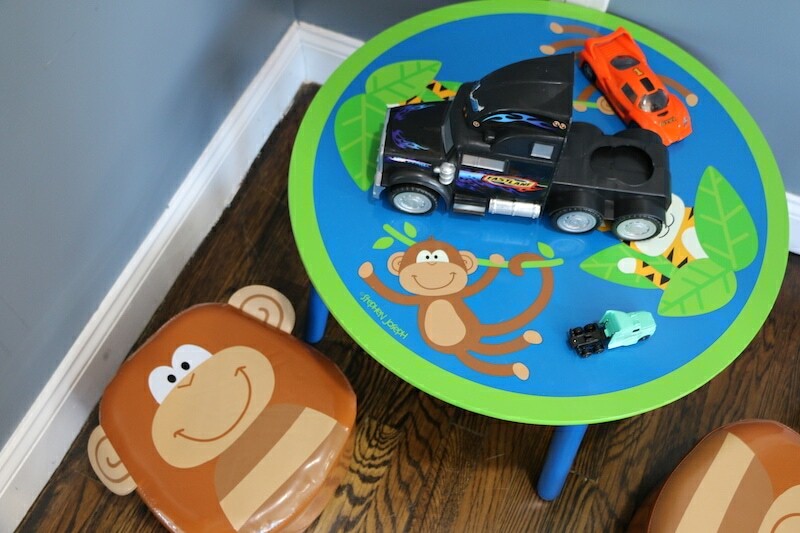 When we put together this Critter Table from Stephen Jospeh Gifts (retails for $59), he was literally jumping up and down. I can’t! The seats are just adorable and the design is simply perfect for little toddlers looking for an adventure. 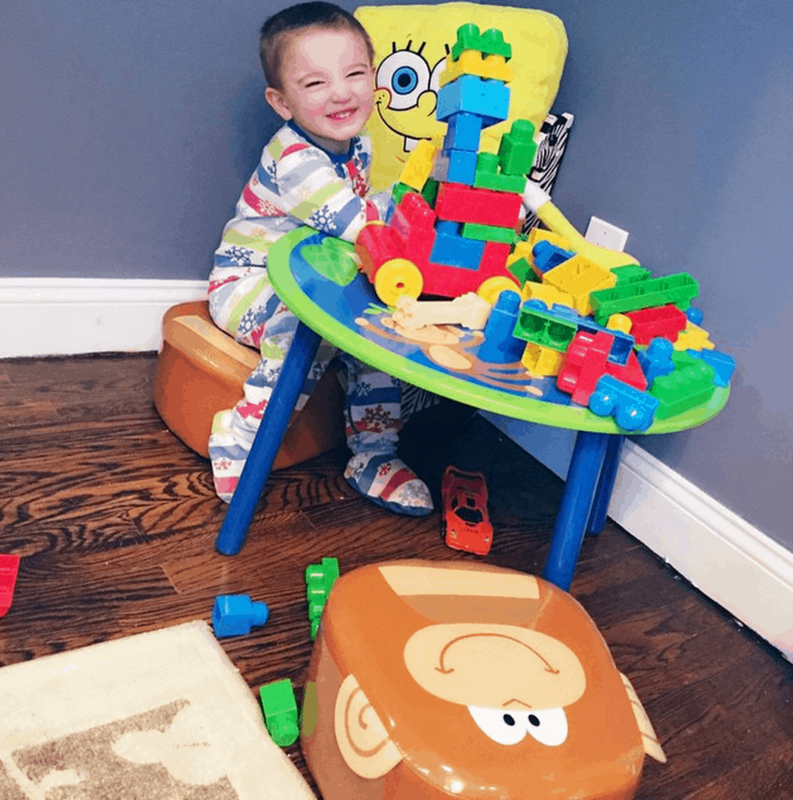 Caleb uses the table to play with blocks, cars, and to color. It’s his everything!! He has officially taken over a corner of my room and I’m not complaining! I just have to teach him to clean up once he’s done. LOL! Look at those monkey seats!! Too cute for words! Caleb actually picks one up and takes it with him whenever he goes. 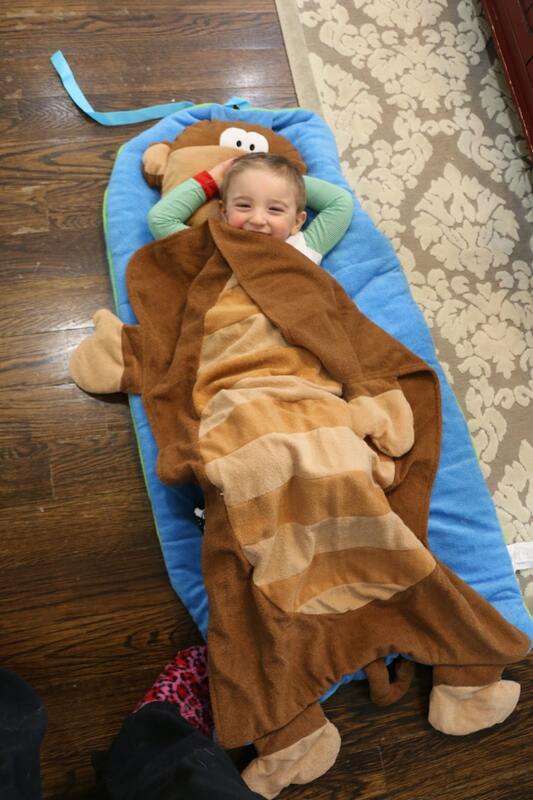 Another great find from Stephen Josheph’s Gifts was this ADORABLE Monkey Nap Mat. It rolls up nice and tight which makes it perfect to take along on road trips or visits to grandma’s house. But my kids (and I do mean KIDS) love to use it when they are watching TV. They lay on the floor and curl up with their monkey before turning on their favorite episode. It’s too cute! 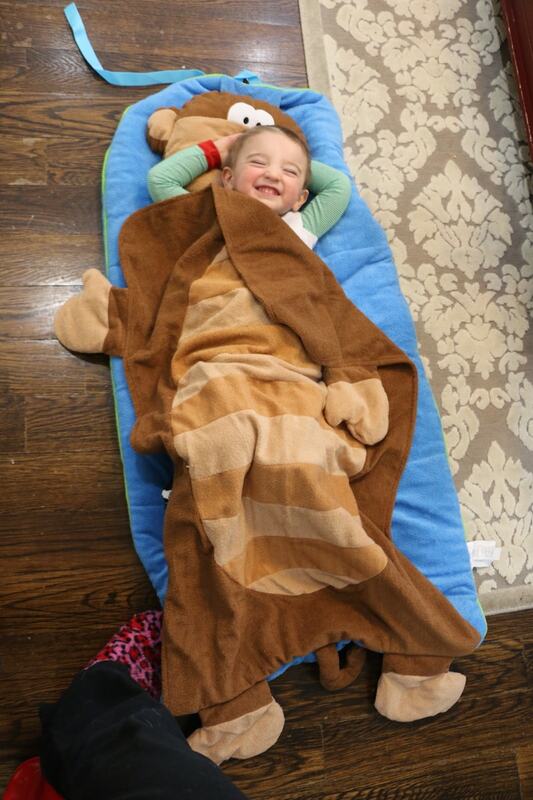 The Nap Mat retails for $49.99 and is a GREAT gift for kids!! A TON of options available too – from cupcakes to footballs to ladybugs. Check them all out here. 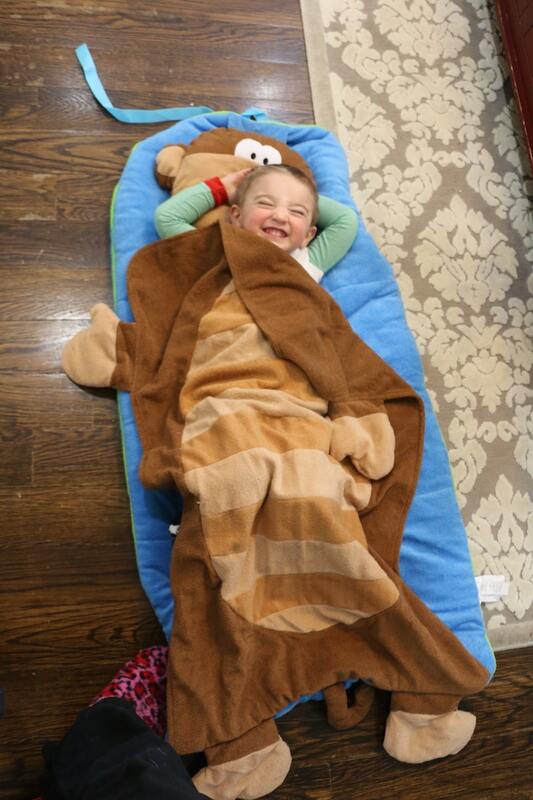 Sorry, I had to put a few more of Caleb laying down on his Monkey Nap Mat because I am obsessed with it. Totally LOVING Stephen Joseph Gifts – be sure to visit their site to see what else is available. Previous Post: « Huge Magazine Sale: Valentine’s Day Promotion! !